Miramar Beach is located at a distance of 3 km from the capital city of Goa, Panjim. It is also situated at a distance of 1 kilometer from the confluence of Mandovi River and the sea. It is situated near the Dona Paula beach. Miramar Beach of Goa is also known as ‘Gasper Dias’. Miramar is a Portuguese word and it shows the Portuguese influence on the Goan culture. In Portuguese, the word Miramar stands for “Viewing the Sea”. The natural beauty attracts many of the foreign and domestic tourists. The silver sand and bluish water on the beach is the million dollar sight that any visitor can hardly ignore. The beach has 2 km long coast line and along the coast there lie the silver sand. The combination of a long coast, clear sand, blue sea and the airy surrounding creates the best place for taking an evening walk on this beach. The evening walk fills the sight with tremendous experience. Along with the cool air, one can feel the nature coming down to earth with a great dusk. The palm fringed beach keeps the children and adults engaged alike. The place is great for spending the day time as well. One can swim, surf and bath in the water during a day visit. Sun bathing is greatly enjoyed on the beach of Miramar. Near the beach there is the children’s park that is too engaging and children get enough activities in daytime visit to the beach. It is a great place for family picnicking. It takes one away from all worries and problems. Like other Goa beaches, one will not find many of the shacks to enjoy the local food. But there at the entry gate to the beach, one will get Papdi Chaat and Bhel Chaat that is too mouthwatering. It is also a great place for shopping in the nearby road. One can get the influence of the Konkani fishermen here in the beach and the adjacent area. The sightseeing in Miramar is plenty as the Aguada fort can be viewed from the beach. The glimpse of the port revives the pre-independence Goan culture. Apart from all the man-made facilitations, it is a great place to watch birds. In winter the migratory birds come to this place. And one can see the flocks in a great number. One can view the Gulls and plovers coming to the beach during winter. 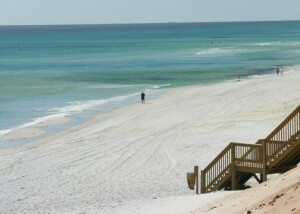 Accommodation is not an issue here in Miramar beach. One can find many luxurious resorts near the beach. At a few distance one can also get budget hotels. But during festival time it is not possible to get accommodation at an affordable price in Goa. One can reach easily to the beach by rail route and bus route. The nearest railway station is Vasco Da Gama. From the station one can get auto rickshaw to reach the beach. Buses are also connected to the destination. One can reach at the Panaji ad there one can hire a taxi to reach the beach. By air too one can reach the beach. The nearest airport, Dabolim airport is located at 34km from the beach. One has to hire taxi from the airport to reach the beach.